and peppered with lovely venues with great acoustics. Competitions with internationally acclaimed adjudicators. One-hour flight time from major UK airports to our airport in Mayo - Ireland West International Airport, Knock. Opportunities to sing and mingle with visiting choirs and to perform at some fantastic locations and venues - some modern, some quaint and some quirky! After-glows and impromptu singing in local pubs and plenty of good-natured banter in between. 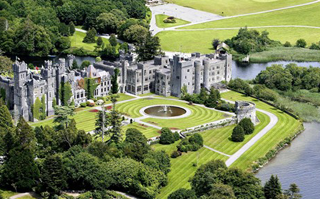 from Campsites to Castles, it's all here! that some choirs have already booked for May 2016.
this year, as well as many choirs from Ireland. Mayo International Choral Festival - thank you and we hope you enjoyed your visit - you provided us with some great concerts and very special memories. We welcome all touring choirs and will, when possible, facilitate a choir's visit by organising concerts with local choirs. on the ground during the event. to return again to Mayo in May, and enter our Barbershop Chorus and Quartet competitions. The concert also included The Mayo Male Voice Choir. Holy Rosary Church, Castlebar, Co. Mayo. The concert also included The Westport Singers and the Galway Gospel Choir. Westport, Countly Mayo - June 2015. The concert also included The Castlebar Gospel Choir.